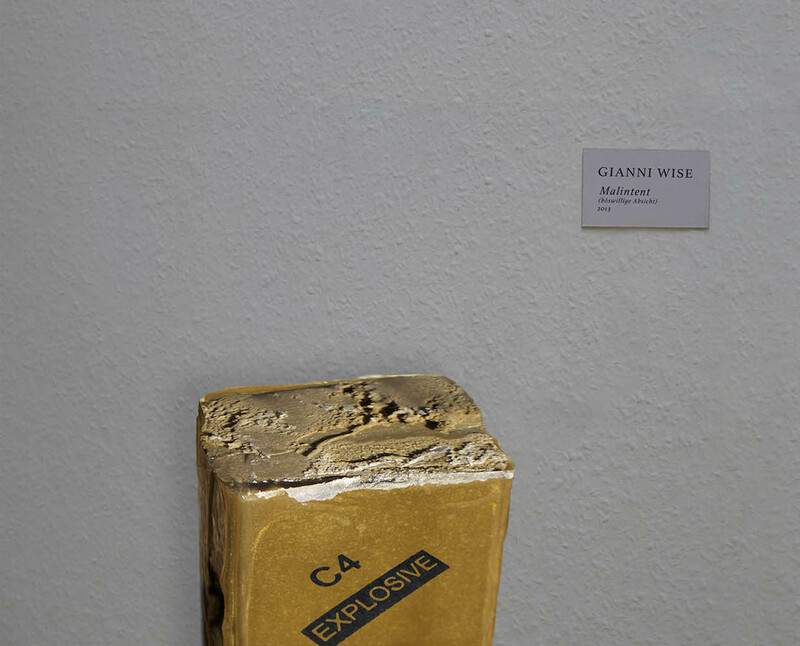 11.5 x 11.0 x 26.5cm, Silicon, fine sand, plaster, clear resin, labelling, plastic coated wiring, copper tubing. The bomb has its message. The message is the nightmare, the fear and the actual start chasing each other to the point where they become indistinguishable. This invention, suggestive of an explosive device as faux dangerous art devices reminders of the machine force of terrible potential for the precognitive experience of death and horror ticking inside all of us.